An online bachelor in health sciences is for students interested in a career where science interacts with healthcare. Also called allied health degrees, these are broad degrees that cover an almost endless number of areas in the health care field. Students will learn a variety of subjects, including chemistry, biology, health care ethics, organizational management and medical terminology. An online allied health degree can cover many different topics. A lot of students choose to specialize in specific aspects of the industry: diagnostic services, health informatics, or research and development. The Bureau of Labor Statistics expects jobs the health sciences field to grow by 18% between 2016 and 2026. An online health sciences degree will prepare you to work in this robust field. It will also qualify you to pursue graduate level studies to further advance your career prospects. Graduating from one of these online health sciences programs will prepare you for many financially rewarding career paths in the clinical, public, or administrative sectors. To find the best colleges for health sciences by price, we used the NCES College Navigator to find schools that offered either an online undergraduate health sciences degree or an online undergraduate allied health degree. 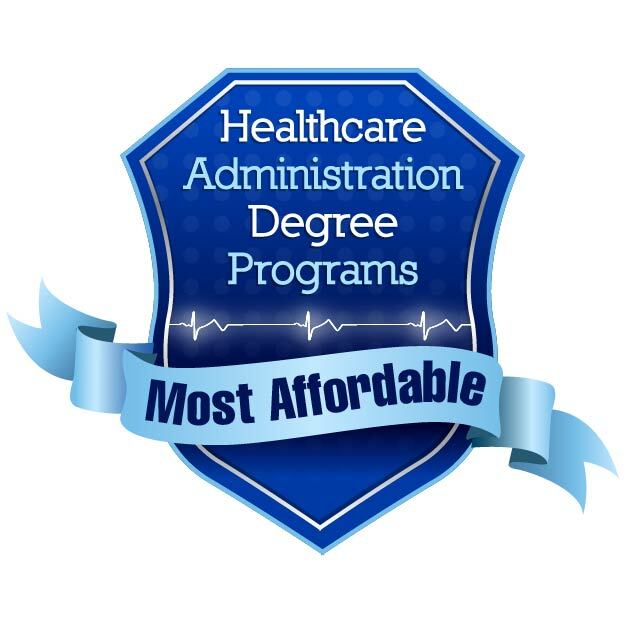 We then selected the 30 most affordable online health sciences programs, using the net average tuition rate. The top affordable online bachelor's in health science from Alvernia University is a flexible program preparing student to work in business, healthcare agencies, and medical care settings. The program is highly interactive. Students engage with peers and faculty through a vibrant online learning environment. Coursework covers areas such as healthcare systems and policy, community health organization and administration, healthcare science management, and health and wellness over the lifespan. Students complete a capstone project at the end of the program to showcase their knowledge and skills. Students can complete elective coursework in an area of interest. 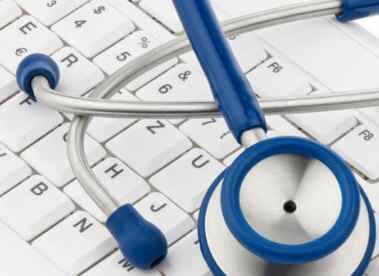 They can also do a concentration in health informatics, which focuses on the role of technology in health care. -psychology in the health care profession. After graduation, students can seek jobs in clinics, hospitals and health organizations in their local communities. Students may also use their degree to gain acceptance in graduate-level programs. -Certified Medical Administrative Assistant (CMAA). Graduates are prepared for advancement in the healthcare field. Clarkson College features an affordable online bachelor's in health care services. The program is very flexible. It can accommodate traditional students interested in health care outside of direct patient care, students who want to earn a bachelor's degree, and current health care employees who want to advance in their career. Students benefit from a hands-on curriculum that includes a 135 hour practicum to gain valuable professional work experience. Clarion University of Pennsylvania's offers an affordable top Bachelor of Science in allied health leadership. It prepares students for successful careers as health care managers. The online program was designed for students who have an associate degree or hold a health care credential and want to take their career to the next level. The program is only offered online, making it a good choice for those currently working in health care. All programs are offered online. Students can expect small class sizes to help them make the most of their educational experience. Students will learn how to evaluate ethical health care situations, understand research data and build critical teamwork skills. This flexible program can accommodate full time students or those juggling family and work obligations. Most students finish their degree within 40 months, depending on course load. Graduates will be prepared for entry level positions in the field. They can also pursue graduate level study in areas such as medicine, dentistry, occupational therapy, public health, and nursing. This affordable online bachelor's in health science program boasts a 90% employment rate for graduates and a graduate satisfaction rate of 90%. The program includes a 120 hour practicum experience. Each path has different requirements and outcomes. All required coursework is available online, making this program a great choice for working professionals. Coursework covers clinical ethics, health care in the U.S., public health principles, and research. The curriculum also includes hands-on experiential learning. The program can be completed online and allows flexibility for completion for students of any educational background. The core classes of the degree cover ethics and cultural issues in health care. Students will also take courses covering technology standards in the health care field. They complete an internship or practicum before graduation. Students complete 18 credits from their selected track to personalize their degree and focus on professional goals. Students can transfer up to 64 credit hours from an accredited institution, saving both time and money. The Helen and Arthur E. Johnson Beth-El College of Nursing and Health Sciences at the University of Colorado-Colorado Springs features an online bachelor's in health care science program. It's offered through the allied health completion program. The core classes, along with the electives, can be completed online. Students will have the option to choose classes to help them reach their career goals. Potential jobs after completing this program include radiation therapist, health service manager and medical laboratory scientist. This flexible online bachelor's in health science can be completed on a full-time or part-time schedule, making this a great choice for working professionals. The bachelor's in health services with a clinical services option at Missouri State University is a comprehensive program requiring no minor. Students with an associate degree or certificate can apply their clinical credit hours to this online program to earn their degree and advance their career. Students learn about health care systems and legal issues through evidence-based practice and inter-professional collaboration. Students have access to advisement services online or by phone. Granite State College offers a top affordable bachelor's program in allied health leadership online. It's focused on leadership, finance, ethics, and health care policy. This degree prepares students for careers in leadership positions in the allied health care field. These include health administrators and program directors. The program allows students with a related associate degree to easily advance to the next stage of their academic career. The program includes the help of career counseling services. Faculty are experienced health care professionals who have real-world expertise. Many students want to turn their passion for caring for others into a career in healthcare. They should check out the bachelor's in health and wellness management program at the University of Wisconsin-La Crosse. The convenient online format allows students access to course content from any device with no specific time for classes. Students engage with faculty and peers through discussion boards on an integrated online learning platform. There are no on-campus meetings or residency requirements, making this a great choice for those with family and work obligations. Students can also use the experiences and skills they gain to pursue advanced academic degrees. The online bachelor's in health sciences program at Arizona State University is designed for students who have an associate's in applied science degree and want to earn their bachelor's degree for career advancement. Courses are 7.5 weeks long. Students need to complete 19 courses to earn their degree. With multiple start dates throughout the year, students can begin earning their degree when it is most convenient. Program graduates will be well positioned to assume leadership roles in their area of healthcare expertise. Students are expected to have a strong background in science when applying to the program. The Allied Health Department at Washburn University offers an online bachelor's in health science program. Students can major in health service administration, medical imaging, or clinical laboratory science. Students with or without healthcare experience can benefit from this program which prepares students for opportunities in healthcare or for graduate studies. Coursework is tailored to meet the professional needs of students in an innovative online environment. The program is designed to be completed in four years. Northwestern State University of Louisiana features an affordable top online bachelor's in health science tailored to the online learner. The courses target working students who already have some professional experience in a health care setting. Students can apply up to 30 hours of clinical coursework to the bachelor's degree program. Program graduates will have gained new skills to help them work in a clinical or other healthcare setting. The University of West Florida offers a top online accredited BS degree in health sciences. Students can specialize in either health care administration or public health. Students planning to pursue degrees in occupational therapy, physical therapy, chiropractic, or nursing can incorporate courses from these programs into their studies. This affordable online program is available to students of all experience levels in health sciences and can be used for career advancement. The affordable bachelor's in health science online at Northern Kentucky University offers tracks in both clinical and non-clinical studies. The clinical track is ideal for students who already have an associate's degree and relevant work experience in the field. Students will gain additional educational knowledge to advance their health care career. The transdisciplinary track is for students who want to work in non-clinical positions in hospitals and other health care environments. Students who want to earn a master's degree usually take this track. The online bachelor's in health studies program at Texas Woman's University is for students with an associate's degree working in a health related position. It's also for students with academic backgrounds in a number of related fields, including medical or laboratory technology. Unlike many other schools, TWU accepts up to 36 credit hours of technical coursework and applies them to the bachelor's degree program, saving both time and money. The affordable top online bachelor's in health science Bellevue University is a diverse program. It's intended to meet the needs of students who want to advance in healthcare or begin the pursuit of a medical degree. Concentration areas are available in science, medicine, eldercare, and long term care administration. Students who plan to continue on to medical school can earn a Pre-medical Certificate when they complete the required course sequence. The curriculum for this top online health science program is hands-on and applicable to a variety of healthcare environments. Earning a health sciences degree online is an excellent way to prepare yourself for a rewarding career path. Whether you already have experience in the health care industry or you're just starting college, there are many online allied health programs that can help you meet your career goals. The allied health care field is growing. Graduating with an affordable online bachelor's in health sciences will help you get started in a career with excellent long-term prospects.